The current agreement between the U.S. Soccer Federation and the U.S. Women’s National Soccer Team Players Association is set to expire at the end of this year—just a few days away. But in the midst of negotiations, the players announced tonight that they are parting ways with union head, Rich Nichols, who has been the executive director of the USWNTPA since 2014. The current CBA governs the USWNT salaries, which have been a point of contention for the players, who have a pending complaint with the federal Equal Employment Opportunity Commission alleging wage discrimination. 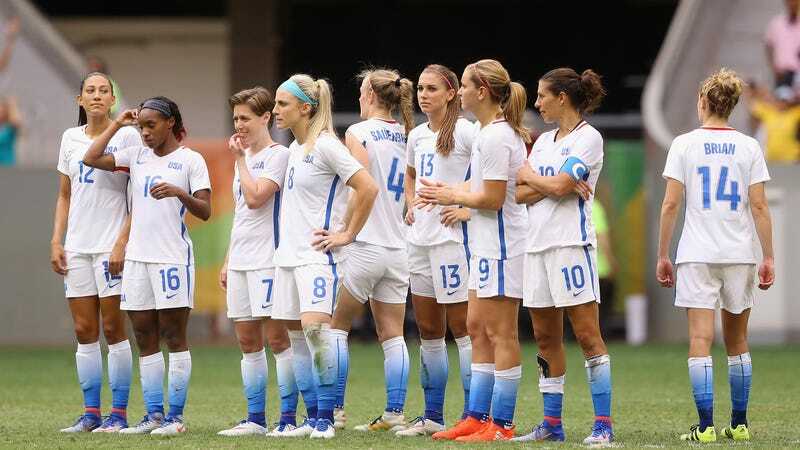 As it stands, the men’s team and the women’s are compensated through a different pay structure—a guaranteed salary for the women versus a pay-for-play model for the men—which U.S. soccer says is to blame for the wage disparity. It seems unlikely a new agreement will be ratified before Sunday without a union head, but the existing CBA won’t be automatically invalidated. The players will continue to be paid according to the old CBA and either side would have to give 60 days notice that they intend to stop honoring the existing terms.